It seems Jemisin has done her research on this, judging by the quote with which she begins the first book of The Broken Earth trilogy. The way I think about it, natural disasters seem to work in a manner consistent with biological competition, pitting the Earth against humans in a battle we will not win. 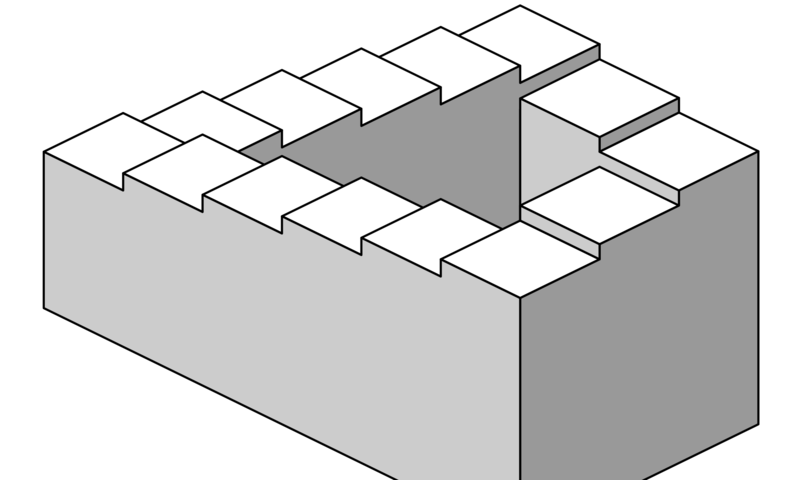 If we continue at the rate we’re going, it seems we will just die out on our own. I guess that’s what would be best for the well-being of our planet, anyway, which apparently we don’t have to worry about at all. Why was this so surprising for me to hear? Why have I never heard it put this way (or at least not that I can remember)? Why does everyone who advocates for climate change issues always push the idea that it is Earth that needs our help, when it is really us? One possible answer to these questions has to do with the everyday actions we can take that have the ability to combat climate change and what will actually motivate people to take these actions. Some may feel like they’re doing something more for the world by taking shorter showers or recycling if they believe they are saving the whole planet, including everything and everyone in it, as opposed to a few cities on a comparatively smaller scale. It certainly sounds more grand! Besides, it seems that we see the faces of the starving and poor and homeless from developing countries virtually all the time, especially when various humanitarian organizations are vying for donations towards causes like hurricane relief and children’s education sponsorships. The real question is this: Why aren’t humans more responsive to the pain and suffering of other humans? Is it because after a while, the faces don’t seem real anymore? Is it because our constant exposure to the suffering of others has desensitized us to it? 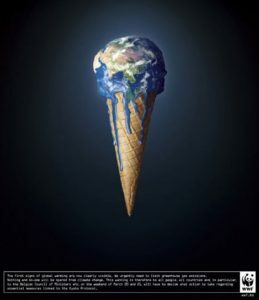 According to this post on another blogging site, the use of an ice cream cone in this image is “innocently powerful” because “When a person sees a dripping ice cream cone, their first reaction is to save it, stop the dripping, and clean up the mess.” This ad caters to such a basic human urge, yet it still strikes me as odd that we are more somehow more likely to respond to an ice cream cone, albeit in the shape of our planet, than the suffering of others. In a previous blog post, myself and several other authors explore the effects of a monumental earthquake and tsunami on the people of a small coastal town in Indonesia. Reflecting back on that post now, I recall the personal accounts of how this natural disaster destroyed the lives of so many. Reading such intimate stories about loss made learning about the effects of yet another natural disaster all the more powerful. So, maybe images of the planet and even animals are easier to look at than images of people suffering. Personally, I tend to avert my gaze from the latter types of images because they make me feel guilty and uncomfortable. I imagine I am not alone in this sentiment. Other advertisements seem to use personification of the Earth in other ways to appeal to our humanity. The ad below seems to be attempting to force people to come to the realization of our actions concerning nature. Other images represent the Earth as a living, breathing woman, a mother, in some cases. This is similar to the way Jemisin’s world has a “Father Earth”. 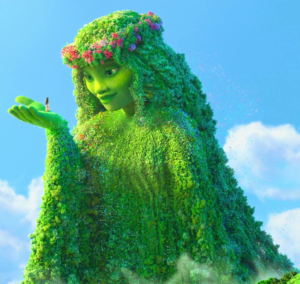 Another apt, and fairly modern, example of personifying the Earth as a mother comes from the movie Moana. The animated film focuses a lot on connection to nature, as the main character goes on a quest to save the people of her home island essentially from starvation by returning the island’s “heart”. 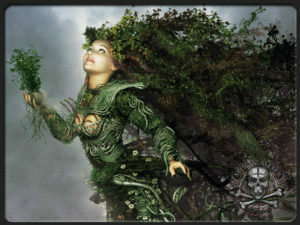 In the movie’s climax, the main character confronts the Earth Goddess, Gaia, and returns her heart. Maybe N.K. 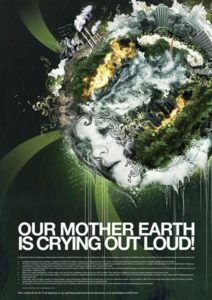 Jemisin, alongside other media creators, personifies Earth in her trilogy as Father Earth in order to emphasize this trend in climate change advertisements. If we humanize the Earth, it is possible that we may begin to process subliminal messages correlating the planet with human suffering, the most pressing concern of climate change. In retrospect, it seems a bit selfish if the reason we intertwine the idea of the human race dying with the idea of the planet dying is because we consider ourselves to be the center of the world. Even though the planet is not actually dying, even though the planet will be just fine, we are dragging out this melodramatic idea that if we die, so does everything else. The truth, however, is that the extinction of humans would not necessarily mean the death of animals or the death of plants or the death of the very core of the planet itself. But this doesn’t seem to matter to anyone because if we aren’t still here, we don’t care about anything that is. Some articles actually go on to explore what would happen if humans did die out, and — surprise! — the world goes on. Many of them discuss both flora and fauna reclaiming what is theirs, as forests spread once again and wildlife runs free, no longer concerning themselves with human barriers. 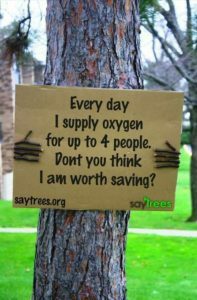 One article states, “A quarter of a century after man’s disappearance, 75% of the planet’s paved city streets and sidewalks will be covered in vegetation.” This is just 25 years! In fact, after reading these articles and feeling a blossom of hope at the pacifying idea that the world might have a chance at returning to its original beauty, I am practically rooting for the extinction of humans, as odd as that sounds. Ever since reading Jemisin’s quote and realizing its relevance to Dr. Reitz’s lecture, all I can think about is the people who are affected most by natural disasters who seem to contribute to it the least. I feel as though there needs to be a change in strategy when it comes to urging people to take action against climate change, because it turns out that people are the face of it, not the planet, or even the polar bears. Father Earth seems to be protecting himself in the same way our own Earth is. Why would he need or even want humans on his planet, screwing everything up? They are responsible for the loss of his son, and if it comes down to who should be afforded the opportunity to live, why would he have any reason to choose humans? The cold, hard truth of it is that we need the Earth much more than it needs us.